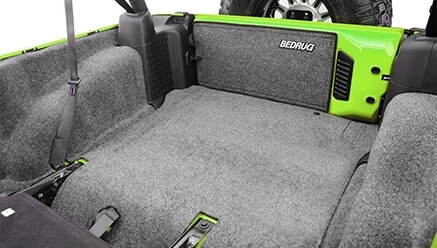 Starting out as a manufacturer of TPO foam composites, BedRug quickly saw a need for high quality truck bed mats and liners. 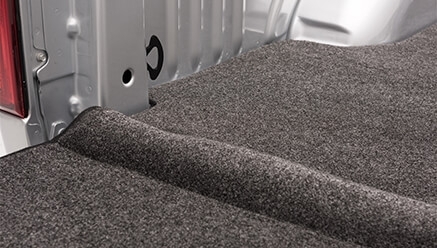 An alternative to permanent spray-in liners that can chalk and fade, BedRug Bed Mats & Liners are designed to be UV resistant and provide your truck with the durability and comfort it deserves. 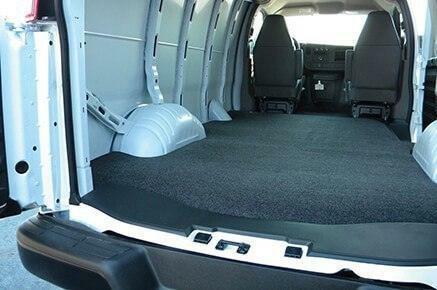 Built specifically for cargo vans, the VanRug Cargo Van Mat has the look and feel of carpet but is made with a plastic material. Because of this, it's resistant against harsh chemicals and any cargo you can throw at it. It's soft on your knees and is 100% waterproof - it won't absorb water. It's very easy to clean with water or a vacuum. 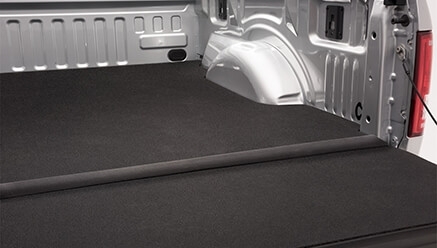 The BedRug VanTred Cargo Mat gives your cargo van the rugged, high-end look of a spray-in liner while protecting it against harsh chemicals, mold and mildew. It's made with 1/2" custom molded foam that will help insulate against road noise and heat. It's easy to clean with water or a vacuum. Installation will leave your surface void-free and damage-free. Protect the back of your vehicle with this 4-piece kit. It will give you a soft surface and deliver protection not only to your vehicle but to the items that you will load as well! 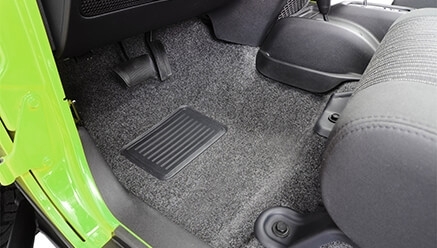 No need to worry anymore when it comes to stepping on your vehicle floors as long as you have these installed. 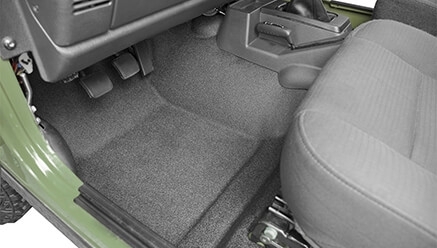 Make sure that your car floors are well-protected from the harmful elements on the road. 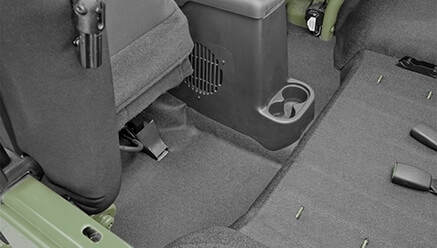 Complete your car interior protection with this floor kit. Perfect for the adventurous ones, you won’t have to worry stepping inside your vehicle after a long day on the trail. The perfect way to change how your car interior looks and feels. 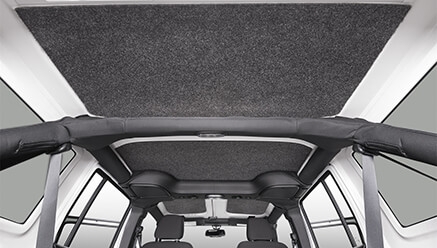 Provides protection and sound absorption to the interior roof area. Say goodbye to spray-on liners or drop-ins, this is the perfect solution for you that guarantees total truck bed protection. Now you get to protect your entire truck bed including the sides with this complete set. 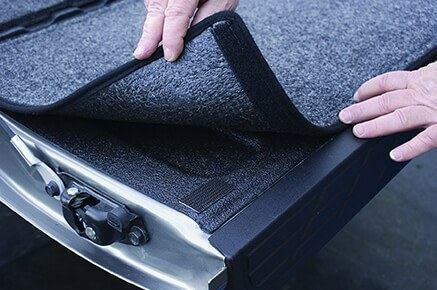 Make sure that you're comfortable and your truck bed is well-protected by having these pieces installed. You will thank yourself later for it! 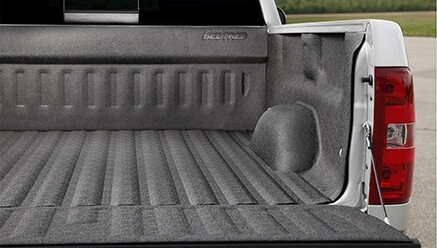 For the overall “health” of your truck, protect it with a bed liner that will last for many years. 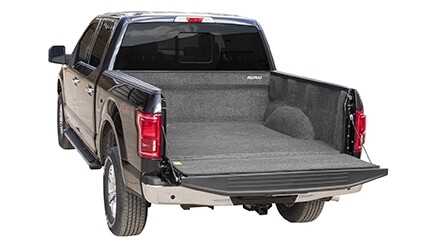 This truck bed liner provides extra thick padding and protection, 3 times more than the standard 1/4" padding. 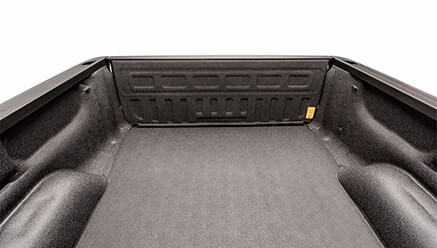 Increase your truck’s protection by making sure that your truck bed is safe and secure. Constructed from polypropylene with the top made from thermopolyolefin, this mat is guaranteed to give you the utmost protection and comfort. 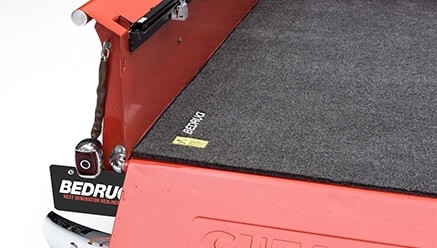 This mat comes with an integrated tailgate gap guard hinge that is 3/4” thick. 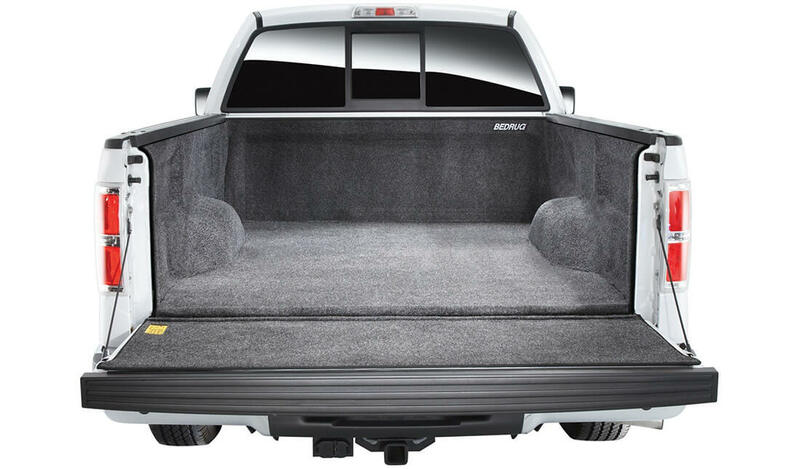 It will give you the best protection and comfort for your cargo, your truck bed floor, and yourself! 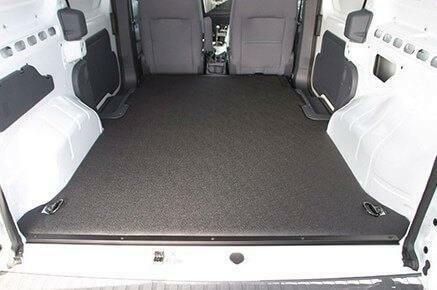 The BedRug Tailgate Mat can be used independently or in conjunction with any BedRug product. 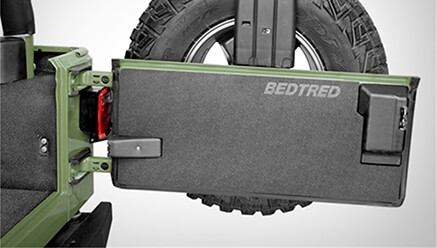 Installation will not damage your tailgate - it is fastened using a hook and loop fastener and is made specifically for your truck. The mat is made of a form of plastic but has the same look and feel of carpet, making it easy on your knees but extremely durable against anything you can throw at it - even battery acid. Cleans easily with a water hose, power washer or vacuum. For the coverage that your tailgate and edges need, this is a good choice that is built-to-last and gives you maximum protection. 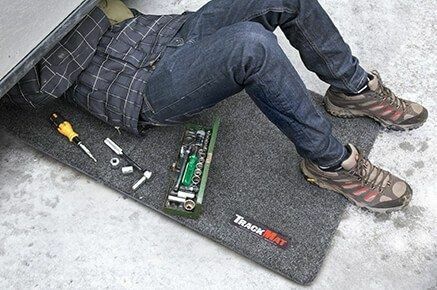 The BedRug TrackMat All-Purpose Utility Mat is the best of the best when it comes to utility mats. The 3/4" closed cell foam gives you padding for your knees or back when in use. It's water and stain resistant against even the harshest of chemicals, so it will keep looking new after heavy usage. It cleans really easily with a water hose, power washer or vacuum. You can fold it into half it's size (2'x4') for easier storage. BedRug is in familiar company, being one of many companies held by THI, Corp. Its sister companies include Advantage, BAK, Extang, Retrax, TruXedo and Undercover. It's safe to say BedRug is in great hands with world-class engineering and manufacturing at its disposal. Located in Old Hickory, Tennessee. PartCatalog.com is a proud retailer for BedRug. For more information on BedRug, please visit the BedRug official website.